For those who are not aware, ASUS Zenfone Max Pro M2 has been released with the price of Rs. 12,999 which has Qualcomm Snapdragon 660 SoC (System-on-Chip), while Xiaomi Redmi Note 6 Pro has Snapdragon 636 processor which is available with the costs of Rs. 12,599. 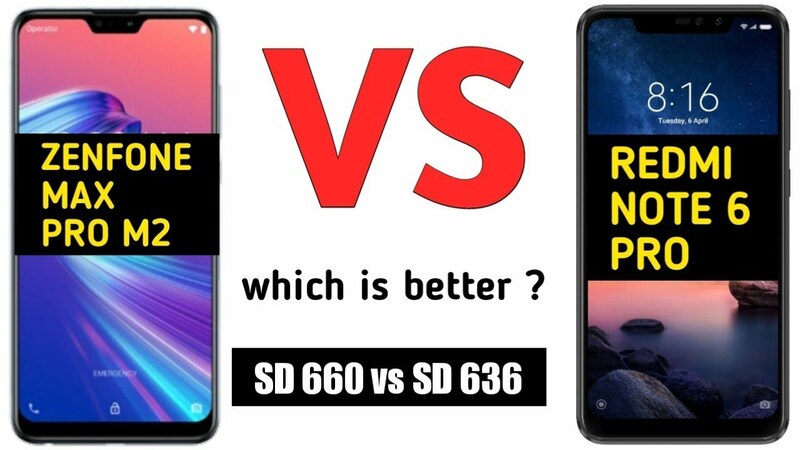 We are seeing in the processor wars between both brands of phones, but it is hard to say which handset takes more advantage or which has better camera, CPU & GPU, display, AI performance, chipset and Connectivity features. Here, we are comparing two popular brands’ phones. 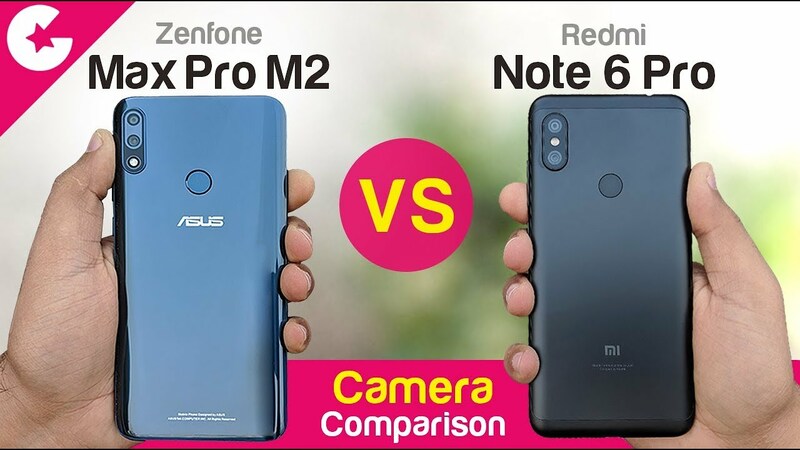 Let’s see the battle of ASUS Zenfone Max Pro M2 Vs Redmi Note 6 Pro. When we talk about Redmi Note 6 Pro, its designs are almost similar to Zenfone Max Pro M2. But Mac Pro M2 has better frame than Redmi Note 6 Pro phones which feels rough around the edge of Smartphone. Redmi Note 6 Pro has simplistic, single colored metal back plate. Its dual camera module has metal rim which looks very impressive and useful. On other hand, ASUS phone has more impressive looks with its glossy back panel, metal rim around the dual camera module and has fingerprint sensors as well. Light weight at 175g of ASUS Zenfone Max Pro M2 phone, fit comfortably in users’ pocket. While dimension and weight of Redmi Note 6 Pro has around the same as of Zenfone Max Pro M2. Both the phone is highly prone to smudge. We are seeing that both devices come with Notch displays. Redmi Note 6 Pro has dual facing camera setup in front with array of sensors, notification LED and earpiece. It has IR emitter along with 3.5mm headphone jack on the tops and micro-USB connector at the bottom. On other hand, ASUS Zenfone Max Pro M2 comes with just single front camera sensors and earpiece, notification LED are placed above the notch which keeps it narrow. Interestingly, both phones have volume and power buttons on the right corner and on the left, there are dual SIM slots which allow you to add/insert SIM cards. Since, these are some common features on both phones. ASUS Zenfone Max Pro M2 has microSD slot which allows you to insert MicroSD cards to extend Storage space, while Redmi Note 6 Pro has hybrid SIM tray which give you choice to select second SIM and MicroSD cards. So, we can say that Zenfone Max Pro M2 has better display and design than Redmi Note 6 Pro phones. One thing is clear that Zenfone Max Pro M2 has better design and display on comparison to Redmi Note 6 Pro. Now comes to camera configuration, Xiaomi’s phone has 12MP + 5MP depth sensor secondary camera, dual camera setup in front with 20MPs camera and 2MP depth sensor. Its primary sensor has effective pixel size of 1.8 microns, while Zenfone Max Pro M2 has dual camera setup on rear with 12MP + 5MP depth sensor. Its primary sensor is Sony IMX486 with 1.25 micron pixel and aperture f/1.8. It has 13MP front facing camera with 1.12 micron pixel. 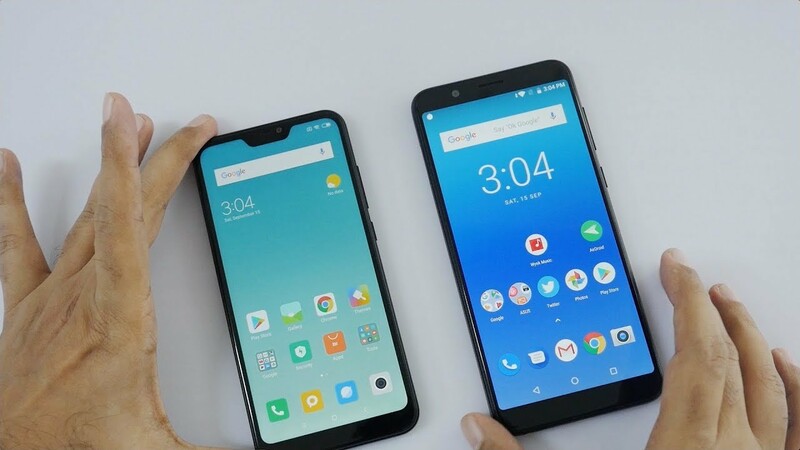 Both phone brands have power AI features, is it true or not? When we talk about Redmi Note 6 Pro camera app, it has AI (Artificial Intelligence) scene detection mode. Xiaomi states that its camera app is able to recognizing 32 scenes with rear camera and 12 scenes with front facing camera, while Zenfone Max Pro M2 does not have camera mode, but it has numerous toggle modes for photo shooting. Since, the company had promised the update in December will enable AI scene detection, EIS and depth effect mode with selfie shooter camera. Now comes to portrait mode, both the Smartphone have similar and impressive performance. But Redmi Note 6 Pro had slight edge with details. So, we can say that Redmi Note 6 Pro has Selfie portrait mode, but Max Pro M2 does not. 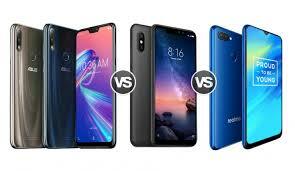 Therefore in this case, Redmi Note 6 Pro is winner. Let’s look image clicked by both phones in daytime and night time here. Processor & RAM and storage: Redmi Note 6 Pro has Qualcomm Snapdragon 636 SoC with 8 Kryo CPU cores clocked at 1.8GHz. The phone is available in two variants including 4GB RAM/64GB storage and 6GB RAM/64GB of storage. It also allows you to add MicroSD card up to 256GB to extend memory capacity. On other hand, ASUS Zenfone Max Pro M2 is powered by Snapdragon 660 SoC which is clocked at 1.95GHzs. This phone is available in three variants including 3GB RAM/32GB Storage, 4GB RAM/64GB Storage and 6GB RAM/64GB Storage. Battery: Redmi Note 6 Pro has 4000mAh battery while Max Pro M2 has 5000mAh battery. We are seeing that Zenfone Max pro M2 has great power of battery which can work for long time than another one. Connectivity features: Max Pro M2 has 4G VoLTE, Wi-FI 802.11ac, Bluetooth 5.0, GPS and FM radio. On other hand, Redmi Note 6 Pro has similar connectivity options on comparison to Max Pro m2 Phones. Both Smartphone supports dual 4ZG and dual VoLTE. From the deep discussion, we are seeing that Redmi Note 6 Pro has better camera, AI performance, design, while Max Pro M2 has better processor, display and battery support. We can’t say which is better phone, but if you are looking for better camera, you can choose Redmi Note 6 Pro because it has powerful shooting capacity on daytime and nighttime as well. On other hand, if you are looking for phone with powerful processor with gaming environment, then Max Pro M2 will be better. What do you think? Which one is better? You can share your own experience on the comment box given below.